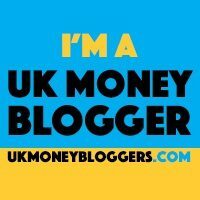 If you’re thinking about starting a blog or are currently running a blog because you’ve heard it is a fantastic way to make some extra cash part-time, be warned, it isn’t’ going to be easy and is going to take a lot of hard work. There is some advice out there that claims to show you how to run a successful blog, but I don’t subscribe to the fact that just because something has worked for one person it will necessarily work for another. There is certainly nothing wrong with taking the advice as a source of inspiration but don’t expect that just because you follow someone else’s blueprint to the letter you are guaranteed success. Running a blog full time is hard enough so deciding to run one part-time is going to be that much harder and isn’t a decision that should be taken likely. There is so much that has to be done if you’re serious about starting a blog as a way of making extra money, so much so that it can be overwhelming if you don’t quite know what the key elements are in running a blog. Finding yourself a web host, deciding upon your niche and putting content out there for the world to see isn’t enough. You are going to have to be a social media manager, seo manager, editor, researcher the list goes on so if you’re doing this while working full time and don’t know a particular role then there is going to be a steep learning curve, though that isn’t to say that it can’t be learnt, there are plenty of useful resources available on the internet. Whether you work a 9 to 5 or are a full-time stay at home parent, there are certain things that you can do to make sure that are able to successfully run a blog part-time. So what steps can you take to successfully run a blog part-time? You can automate some of the activities that you will need to carry out by using the right tools. For social media you automation you might want to try tailwind for Pinterest or Hootsuite and Buffer for Facebook and twitter. You might also come up with ideas when you have a spare moment, in your lunch break for instance so you could use google docs or a note-taking application on mobile. There are going to be times when you feel that you’ve run out of ideas or you just can’t be bothered, don’t kick yourself for these thoughts. I can’t imagine that there is anyone out there that has gone into blogging that hasn’t questioned whether its right for them. Don’t forget that you have a life to live. Feeling that you have to write all the time is a sure fire way of burning yourself out to the point whereby you might actually start resenting for your blog. Remember why you got into blogging in the first place. If your motivation was purely financial you probably have already set yourself up for a fall as your readers will certainly see through will be able to see if you have a genuine knowledge of your subject as this will be reflected in your writing style. Don’t make the same mistake that I did and start your blog with very little content. Make sure that you have a number of posts ready for scheduling in order that your visitors actually have something to read when they do come across your site. It is probably easier said than done when starting out but you don’t want to pressure yourself into feeling like you have to write every day. You will only end up running out of ideas. Set yourself a schedule as to how many articles you are going to write in a week that you know you are going to be able to stick to, I generally only write one post a week and sometimes two if I have the time. You aren’t going to be able to give up work unless your blog becomes really big and even then the hard work doesn’t stop there. You will probably find yourself spending more time on the blog. I think that one of the most important things to remember when you start a blog part-time is that it is no longer fun you, there is nothing wrong with taking a break or evaluating whether blogging is right for you. I hope that this post gave you something to think about if you are looking at starting a blog part-time. If you have any ideas yourself, don’t forget to share them in the comments below.